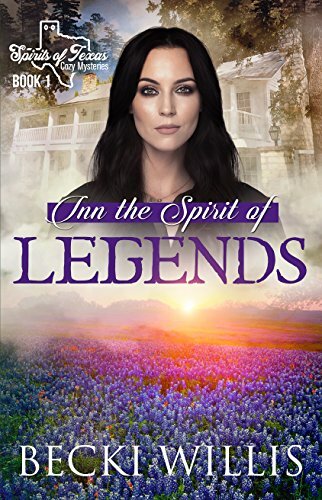 From the author of The Sisters, Texas Mystery Series and Forgotten Boxes, comes an intriguing new book series, the Spirits of Texas Cozy Mysteries. When the tiny hamlet of Hannah, Texas goes up for auction, Hannah Duncan’s fun-loving uncle sees it as the perfect gift for her thirtieth birthday. After all, what’s more fun than a town bearing your own name? 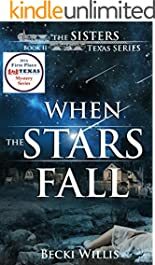 Nestled in the beautiful Texas Hill Country, the ‘town’ isn’t much — a dozen or less buildings in various stages of disrepair—but it comes with a dedicated pair of caretakers, a menagerie of farm animals, a surprisingly generous trust fund, enough stipulations to make her head spin, and a handsome but maddening attorney to oversee the handling of the estate. Originally a stagecoach stop, Hannah, Texas resolves around the historic and rather charming Spirits of Texas Inn. The old inn comes with a colorful past, the mystique of hidden treasure, loyal guests who still book summer vacations there, and three surprise residents: true spirits of the past, who didn’t cross over as expected. 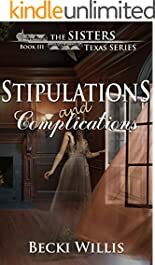 Now Hannah has her hands full, coming to terms with her unexpected status as an innkeeper, adjusting to life in the country, fighting her attraction to attorney Walker Jacoby, plus dealing with ghosts! To top it off, two fortune hunters arrive to search for the hidden treasure, and they don’t care who stands in their way. They’ll stoop to any means—including murder—to get their hands on the legendary stash of gold. Don’t miss out on the excitement, right from the beginning. Book your visit to Hannah, Texas today! Named 2016 Best Mystery Series by Texas Association of Authors. 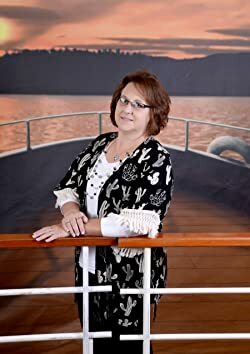 When Madison Reynolds finds herself widowed and penniless before forty, she does the only thing she knows to do – she packs up her teenage twins and moves back home with her eighty-year-old grandmother. Life in The Sisters, Texas has not changed much since she's been gone, but at least her best friend Genesis is there to soften the transition back into small-town life. To make ends meet, Madison opens In a Pinch Temporary Services. 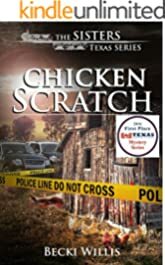 Her first real client is Ronny Gleason, but when she shows up for the first day of work at the Gleason Poultry Farm, Madison makes a gruesome discovery. The dead body she finds belongs to Mr. Gleason. When a local man is arrested for murder, Madison takes on the job of proving his innocence. Even though she is not a private investigator, both mothers are desperate: Lucy Ngyen to clear her son's name, and Madison to pay her bills. But as she begins asking questions around town, her interference is not welcome. But the building blocks aren't standard issue: widowed at thirty-nine…betrayed by her late husband…mother of teenaged twins…finances in shambles…living with her eighty-year-old grandmother…still attracted to her teenage crush Brash deCordova, who just happens to be the Chief of Police in The Sisters…embroiled in yet another murder mystery… How will she ever get all the blocks assembled and stacked one upon another, in order to build a future for herself and her children? Madison's newest client at In a Pinch Temp Service is a suspicious wife, up against a formidable foe—the lovely Caress Ellingsworth, former soap opera queen. When the star is murdered and Madison is eyewitness to the deed, she wonders if the shadowed person she saw commit the crime might really be her client. Now Madison is torn between uncovering the truth and keeping her client's name off the suspect list. Caress is not the only star in town these days. 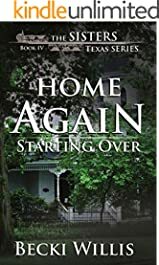 With a little help from Granny Bert and Madison's best friend Genesis, the popular television show Home Again arrives, with some crazy notion about remodeling the Big House for Maddy and her twins. The problem is, Madison can't afford to buy the house, much less pay to have it renovated. No matter how tempting the offer—or how tempting the show's star, Nick Vilardi—Madison sees it as just another block that will not fit. Named Best Mystery Series of 2016 & 2017 by the Association of Texas Authors. If you want to fit into last year's swimsuit, you can't eat ice cream and a Gennydoodle cookie after every meal. If you want to go to Heaven, you can't raise Hell on Saturday night and show up in the church pew on Sunday morning, hungover and reeking of cheap perfume. What she needs is another session of Brash deCordova's unique ‘river therapy'… not to mention the kiss that eludes them with frustrating regularity. There's something special about Genesis Baker, owner of The Sister's popular New Beginnings Café. 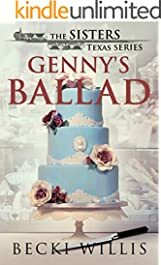 With her dimpled smile and twinkling blue eyes, Genny has practically the entire town eating from the palm of her hand. But Genny is hiding a secret. Despite her sunny disposition and golden touch, there is heartache in her past, and heartache, they say, comes in threes. Heartache Number Two: Genny's arch nemesis from high school returns to town. Twenty years has done nothing to mellow the bitter feud between these two women. Great as a stand-alone cozy mystery, but Book Five of the award winning The Sisters, Texas Mystery Series, voted Best Mystery Series by the Texas Association of Authors, two years in a row! Madison Reynolds can't wait for Christmas this year. Rebuilding her life as a single mom hasn't been easy, but after a challenging twelve months, she's excited about the holidays. She and her twins have settled quite nicely here in The Sisters, renovations on the house are complete, her business is slowly growing, and, best of all, Chief of Police Brash deCordova is in her life. Visions of the perfect Christmas dance in her head. 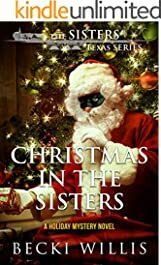 The tinsel begins to tangle when someone targets the community for a series of ‘Christmas Crimes.' Homes are broken into and wrapped gifts are stolen from beneath trees. Even vehicles loaded with presents aren't safe, particularly on a lone stretch of highway. Things like this just don't happen in Naomi and Juliet. Torn between solving the rash of burglaries and shutting down the gambling ring that's active in the area again, Brash does the only thing he can: he hires In a Pinch to help with the investigation. Finding the common link between cases is like finding the bad bulb on a string of lights. Every lead is a short circuit. The frustration mounts when Madison and the Angel Tree she's involved with fall victim to the crimes. Only the worst kind of Grinch steals from needy children! Brash has plans of his own for the perfect Christmas. With the help of a new jewelry store, he thinks he's found just the right gift for Madison, until the Grinch strikes again. This wasn't the surprise he had in mind.